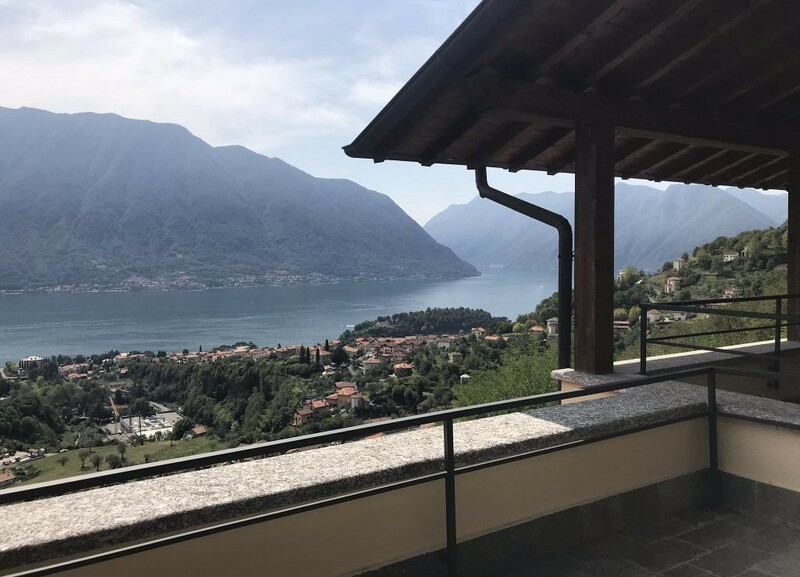 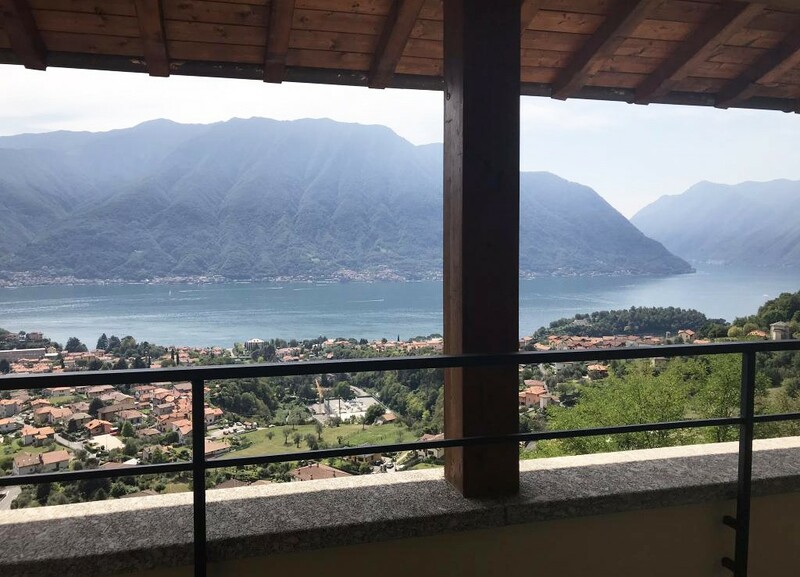 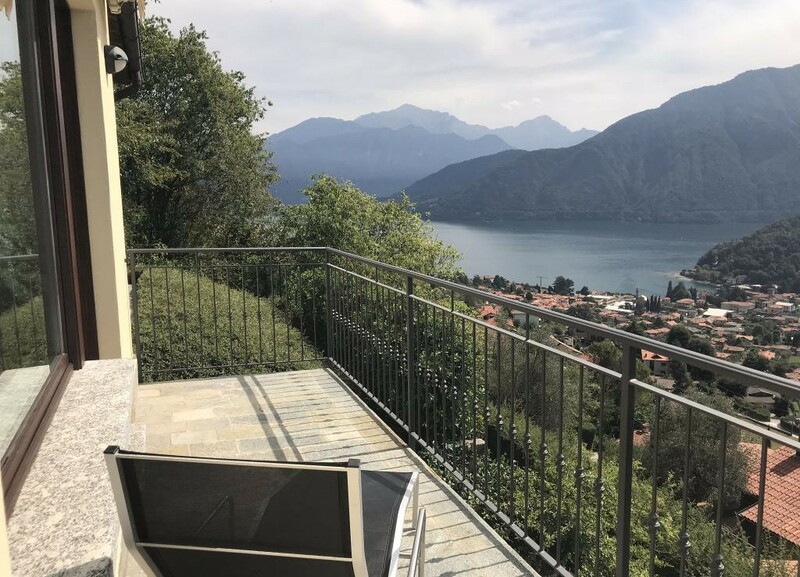 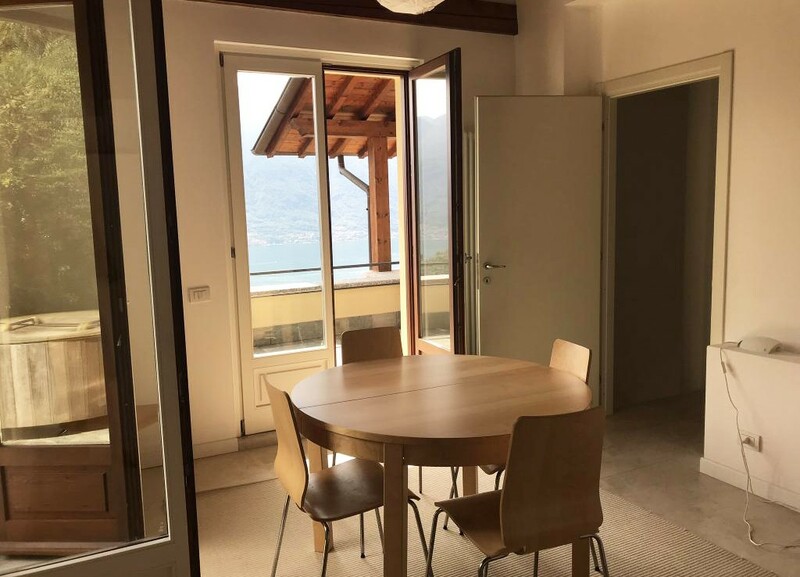 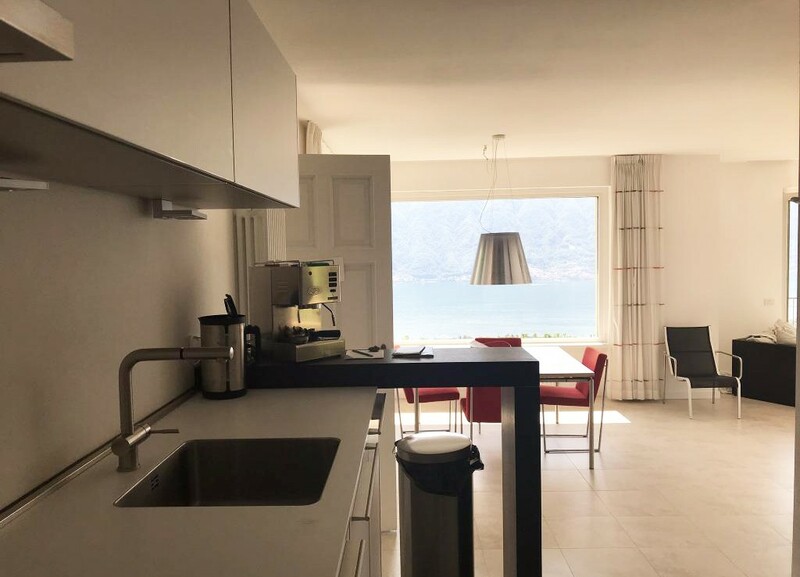 The villa enjoys an overlooking view of Lake Como, is located above Lenno at the beginning of the road that leads to the Sanctuary of San Benedetto which goes on only by foot or with small 4×4 cars. 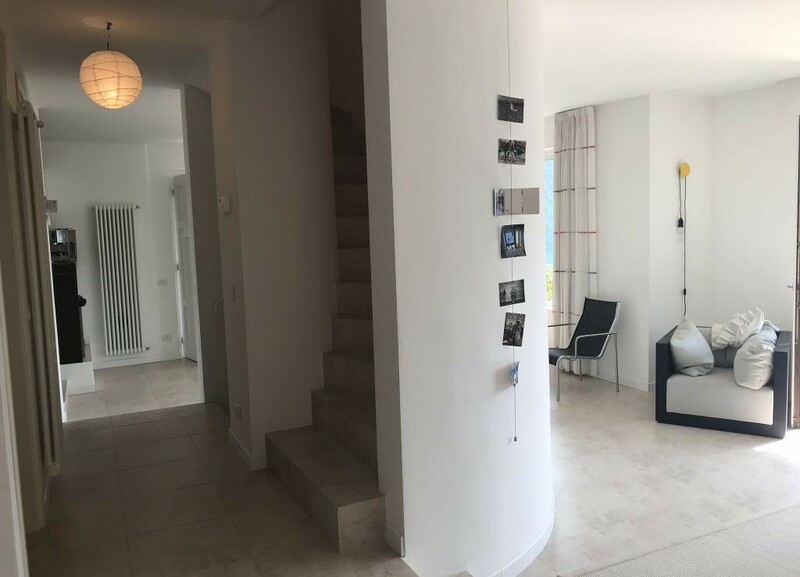 The property consists of three floors plus the garage. 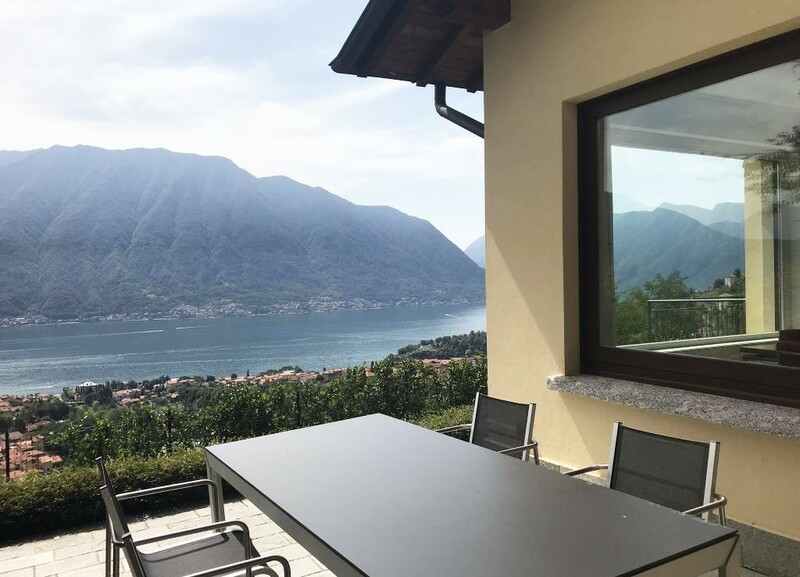 Privacy and tranquility characterize the property. 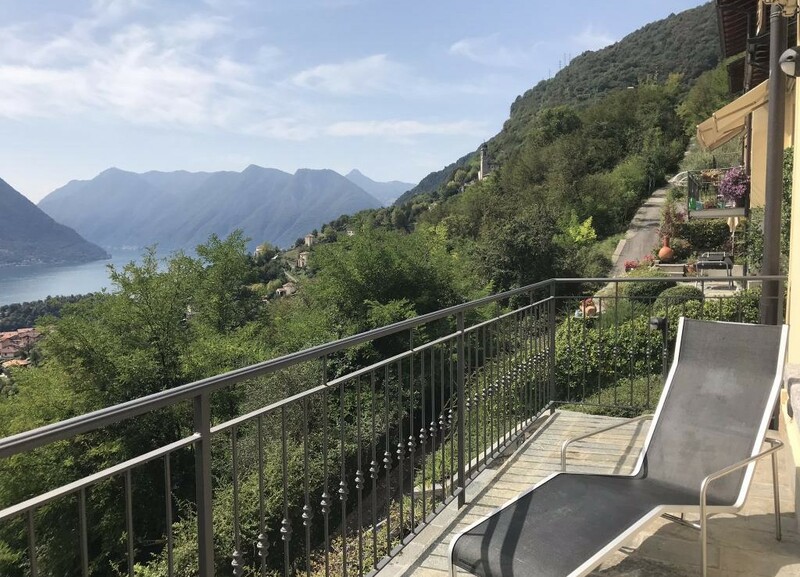 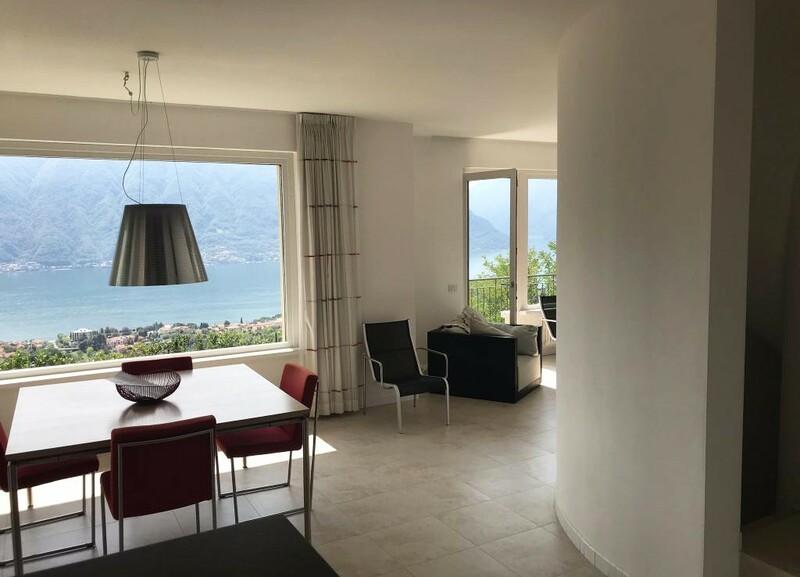 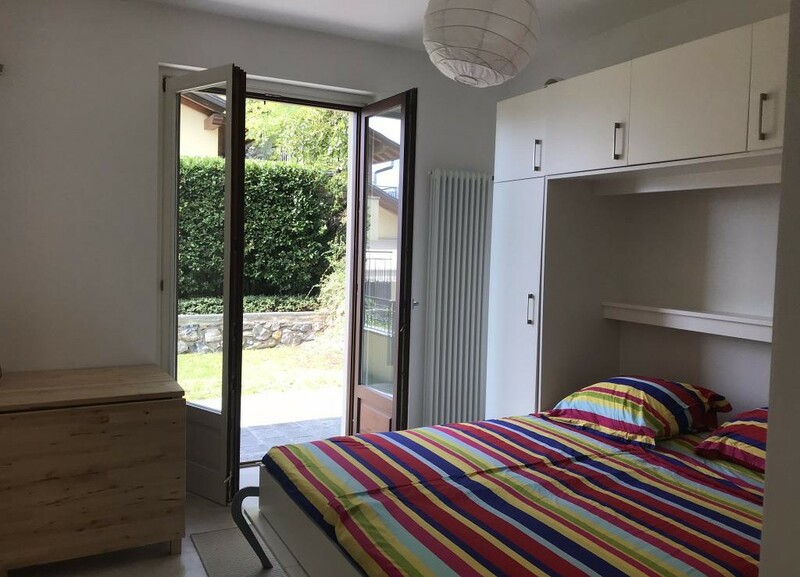 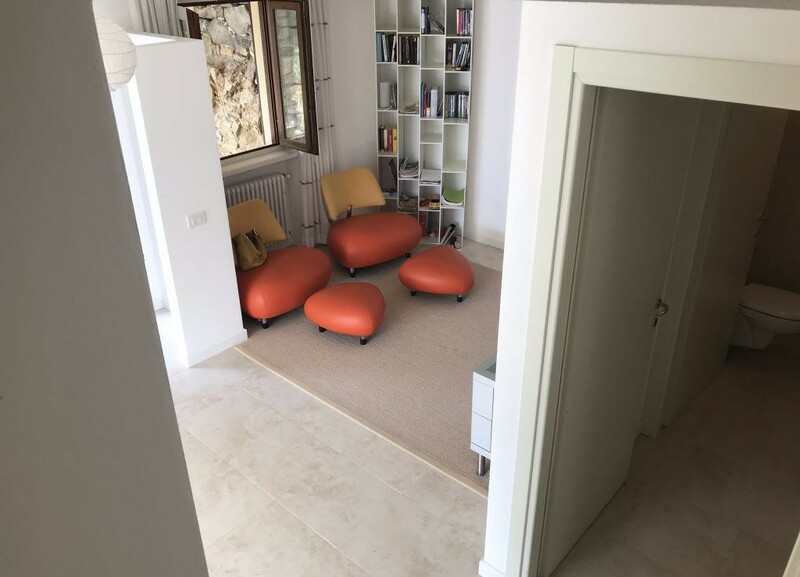 Tremezzina, villa for sale with lake view and garden is placed in a quiet and very sunny position, the property has a dominant view of Lake Como, driveway access, garage, three bedrooms, three bathrooms, terraces and private garden.  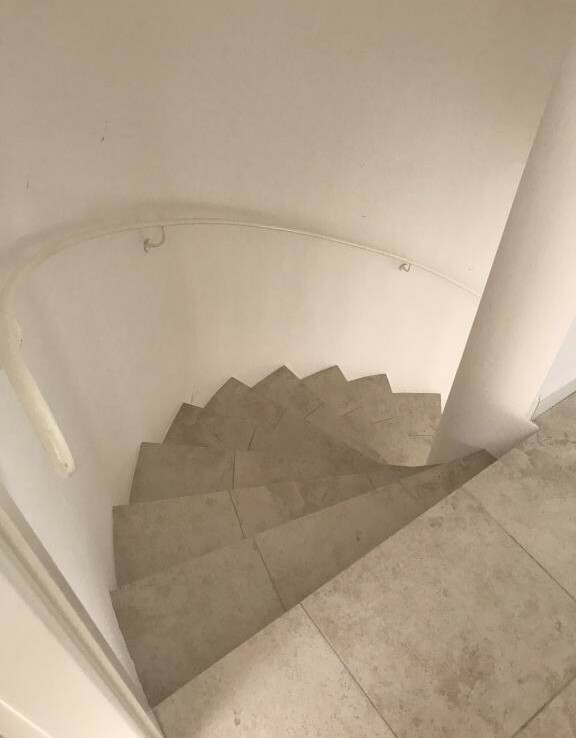 It is in a good condition and does not require any renovation work. 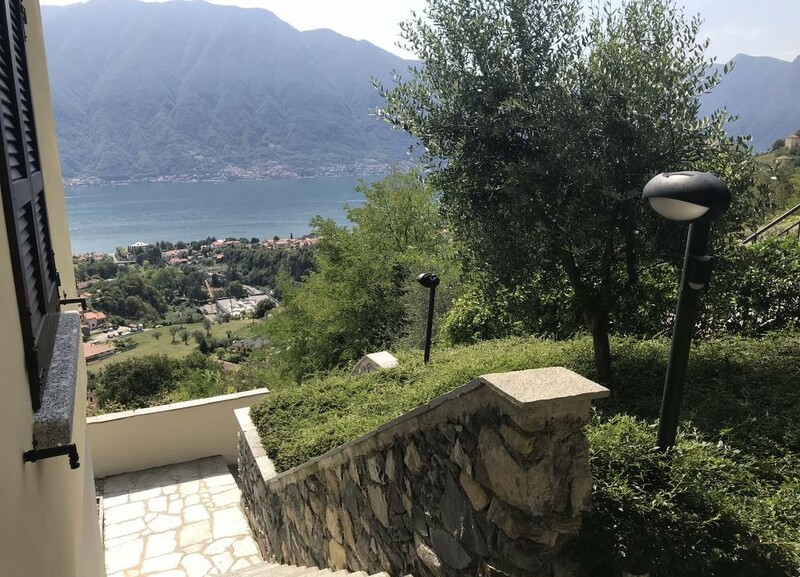 An outdoor staircase leads to the main entrance of the villa which opens onto spacious and bright living room with a large window with an amazing lake view. 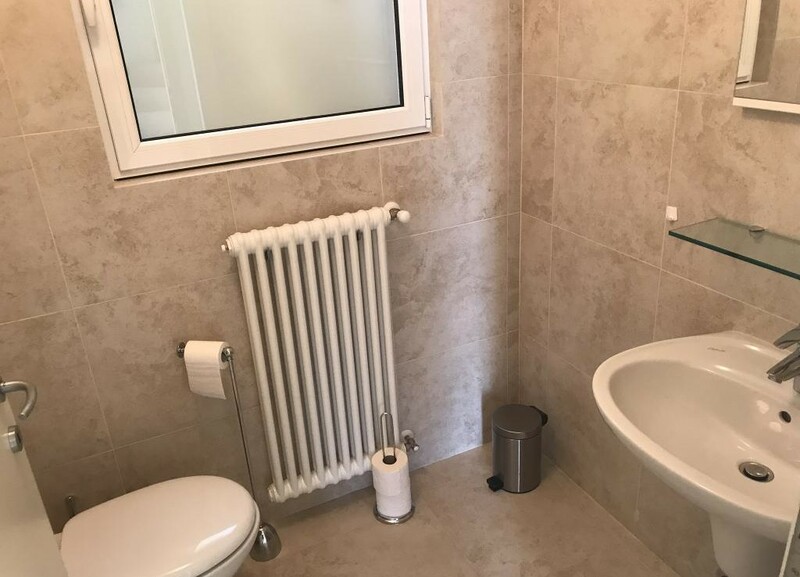 Immediately to the left of the entrance there is a comfortable bath of courtesy and an utility room. 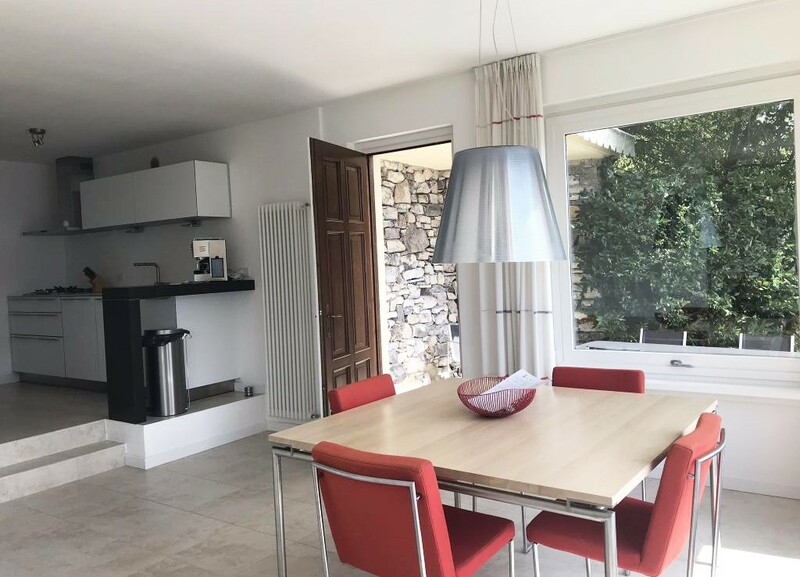 The kitchen is separate by two steps from the dining room. 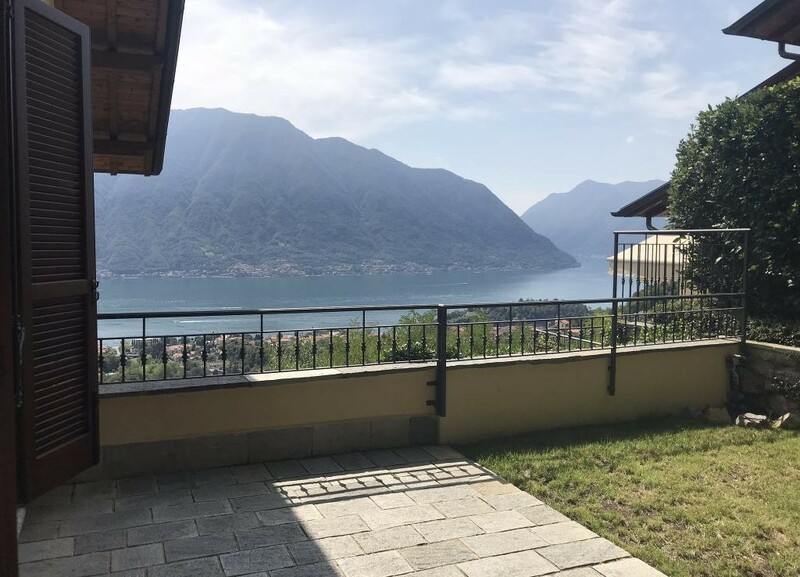 Two lovely terraces, located in the living room, are perfect for enjoying the dinners “al fresco” in the summer season and admire the beautiful landscape of the lake and sunbathing. 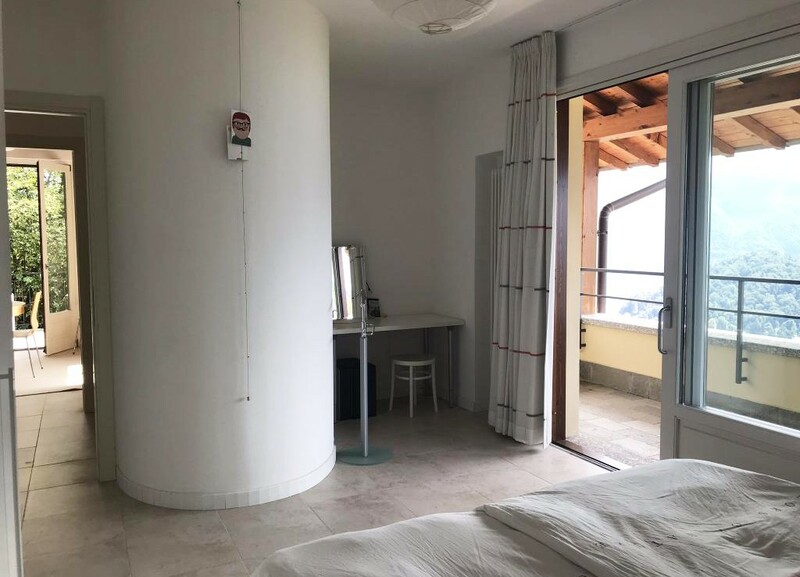 the master bedroom has a private terrace and a lovely lake view, two bedrooms with garden, lake view and one of them has a small Jacuzzi. 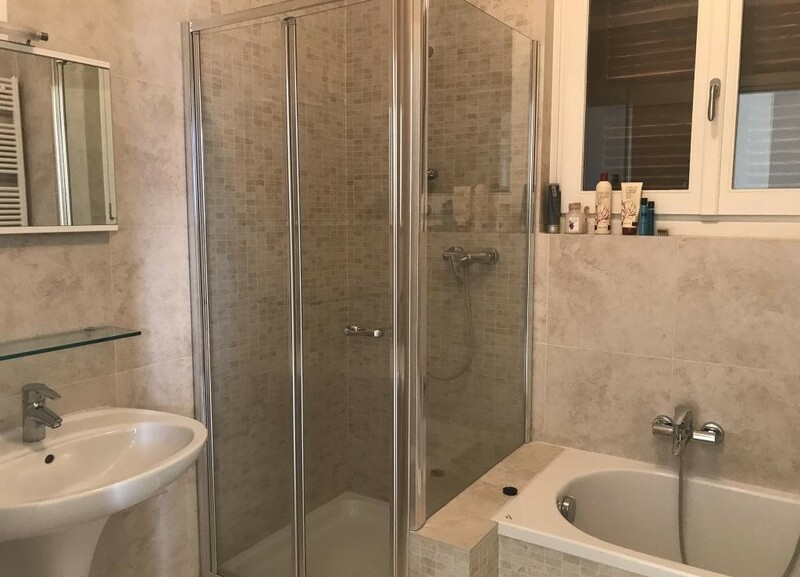 In the large basement, connected with the central staircase, there is a hobby room and a bathroom with shower. 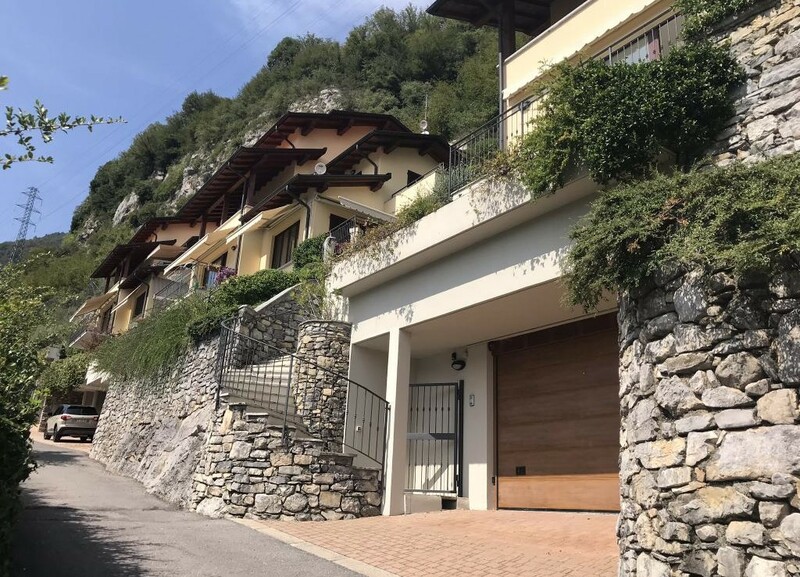 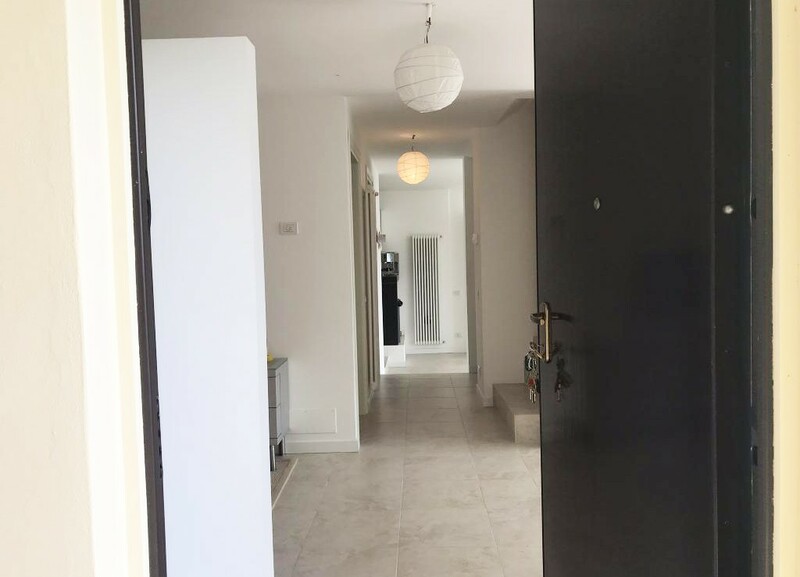 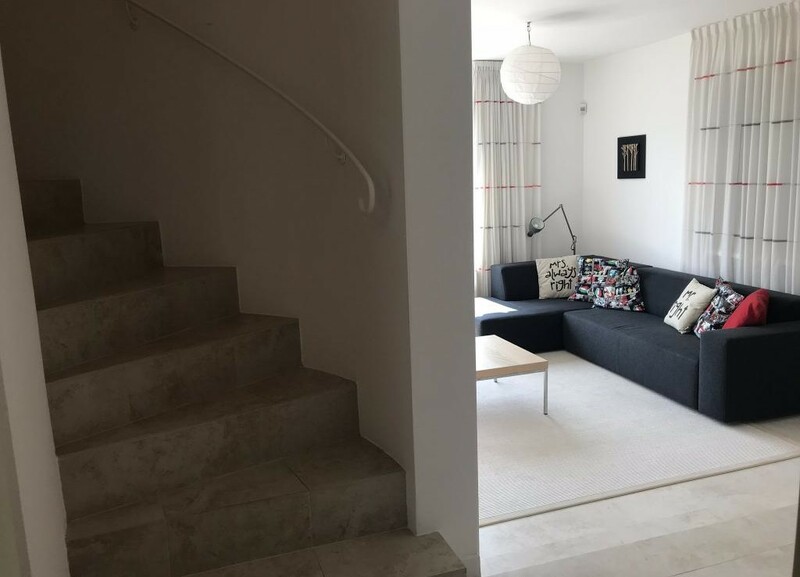 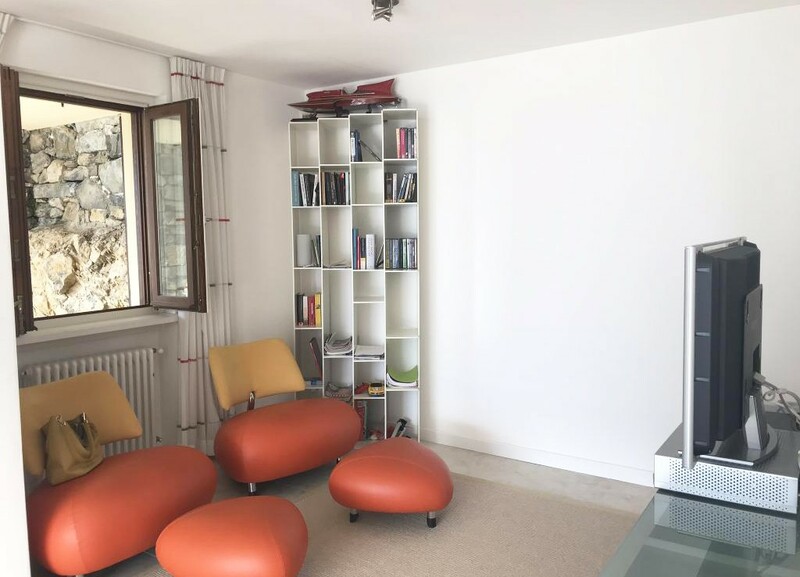 It is has spacious garage that can easily accommodate two cars and it is connected with the upper floors via the internal staircase. 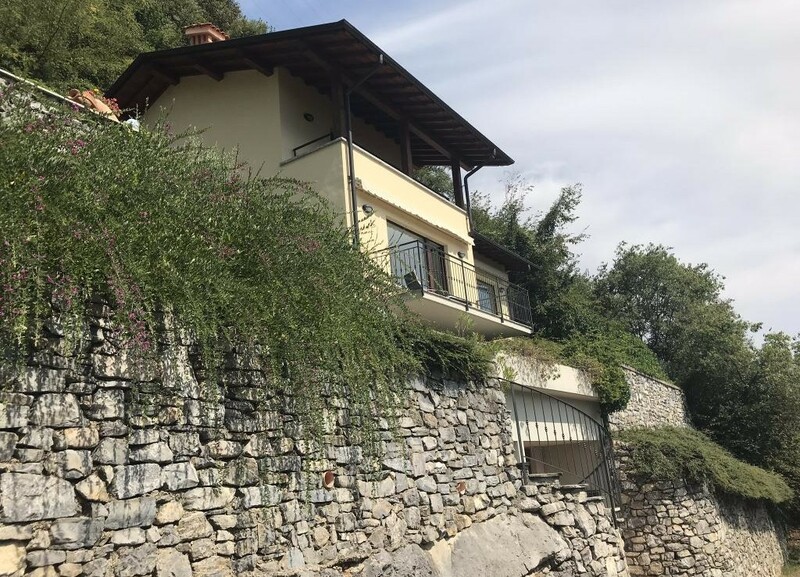 Lenno, now is a hamlet of Tremezzina, is a pleasant village that offers all the services such as supermarket, pharmacy, baker, clothing stores, bank, bars, restaurants, equipped beach, two free beaches, boat stop and hydrofoil, bus stop, tourist train, kindergarten and nursery school (schools are in Ossuccio). 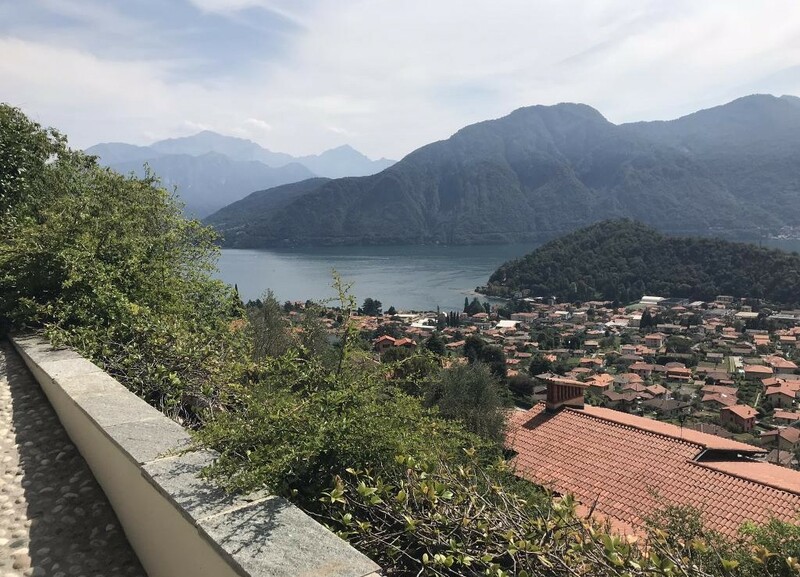 The village is known for the Villa del Balbianello, heritage of Fai, with its marvelous gardens on the tip of the Lavedo promontory and the spectacular period villa, location of many weddings and international movies including Star Wars and James Bond. 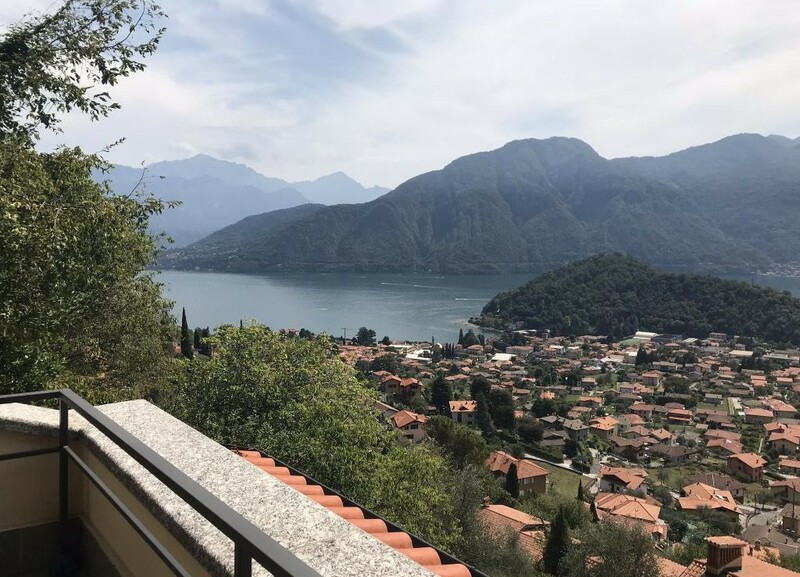 The village is ideal for living all year or for lovely holidays.